An attractive proposal can make a world of difference when it comes to getting a positive response. Luckily, creating an attractive proposal is not difficult nor do you have to start from scratch when you have hundreds of ready-made project proposal templates and mockups available online. 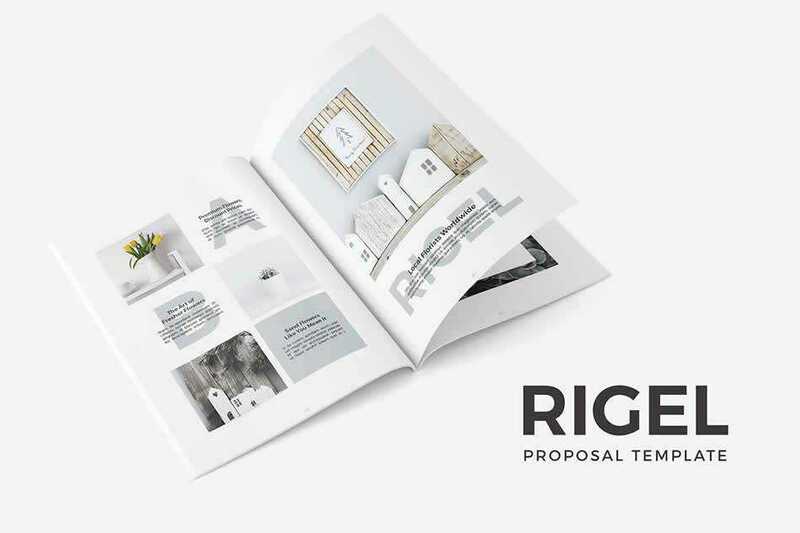 Browse through this collection of creative and modern project proposal templates that will help you get your proposal noticed. 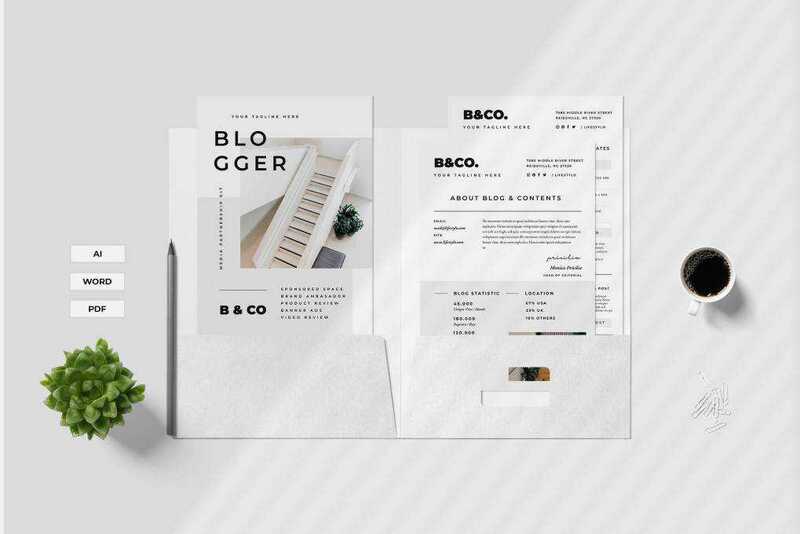 We also have collections of the best poster templates, social media kits, flyer templates, business card templates, stationery templates, and brochure templates. 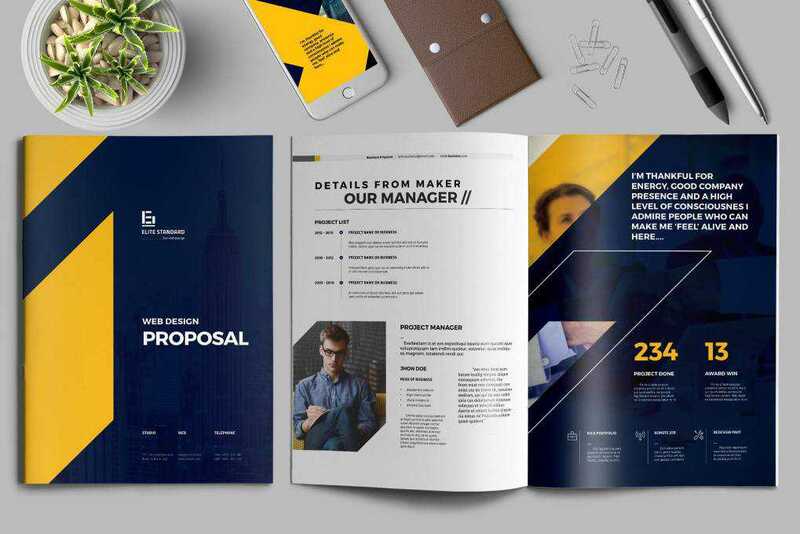 The first proposal template on this list features a modern and fresh design. 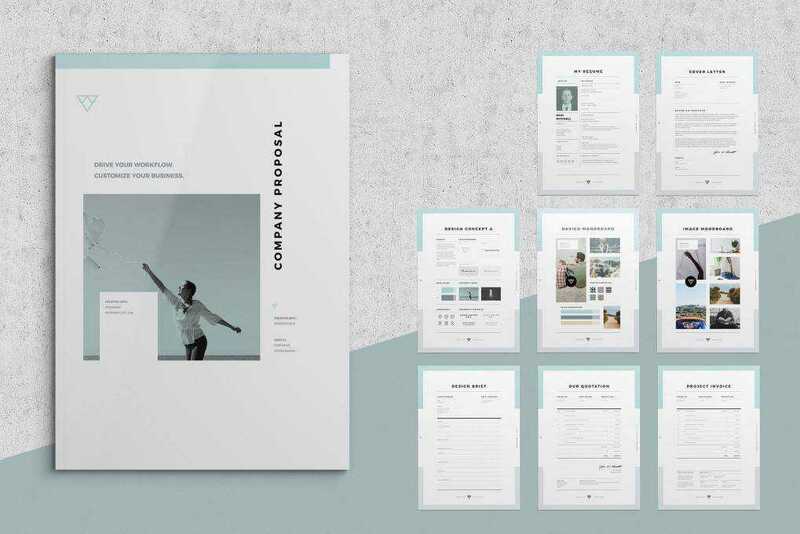 The template includes 14 Adobe Indesign templates such as a cover letter and resume, proposals and estimates, as well as invoice templates. 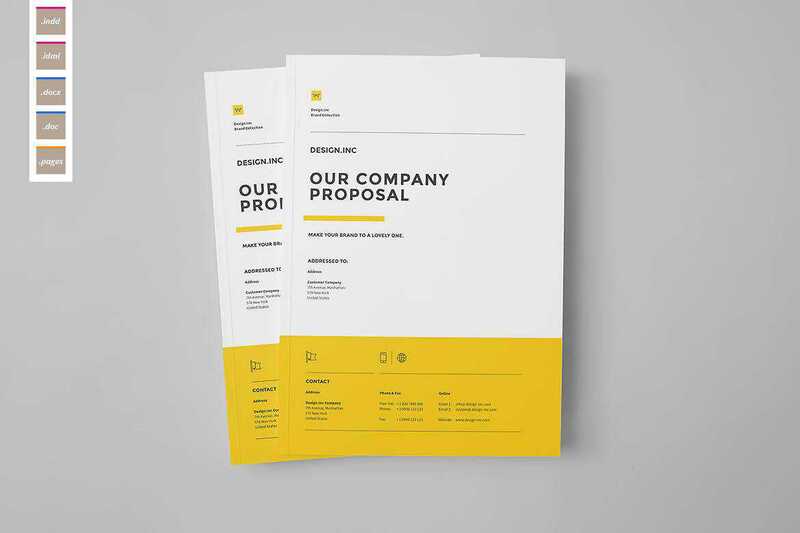 This proposal template features a minimalist design and includes 20 different files. The file was designed in A4 and US letter size and it’s easy to tweak and customize to reflect your brand. 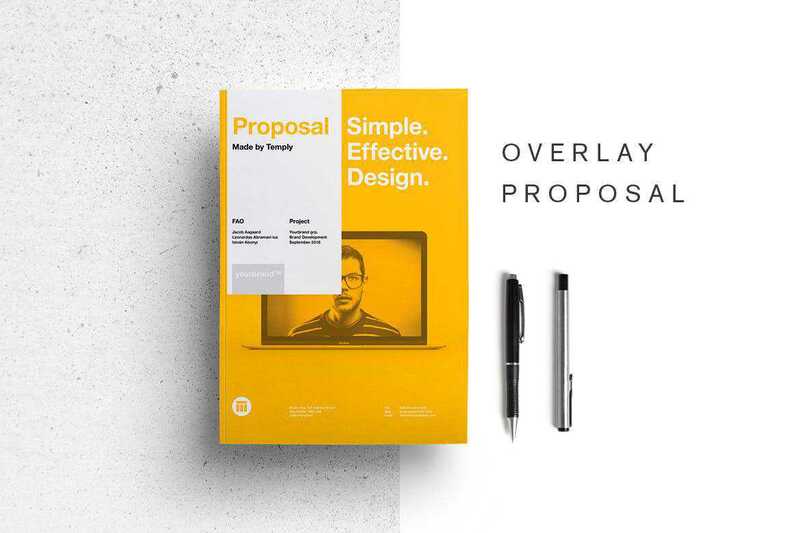 This minimal proposal template includes over 40 layered pages that are perfect for designing any type of proposal. The template comes with defined character and paragraph styles and you can easily change the colors and other styles by editing master files. This colorful proposal template has everything you need to design a beautiful proposal for your next project. The template includes 28 pages, as well as defined character and paragraph styles. On top of that, you’ll also find a premade color palette that’s easy to edit. Consider this Project Proposal if you need a template that you can reuse for multiple projects. With a multipurpose design and style, this template is a perfect choice as it also includes various infographics, editable shapes, two project timelines options, and is compatible with MS Word. Try the Clean Web Proposal Project Template if you’re looking for a template that will help you create a professional proposal for a web design project. 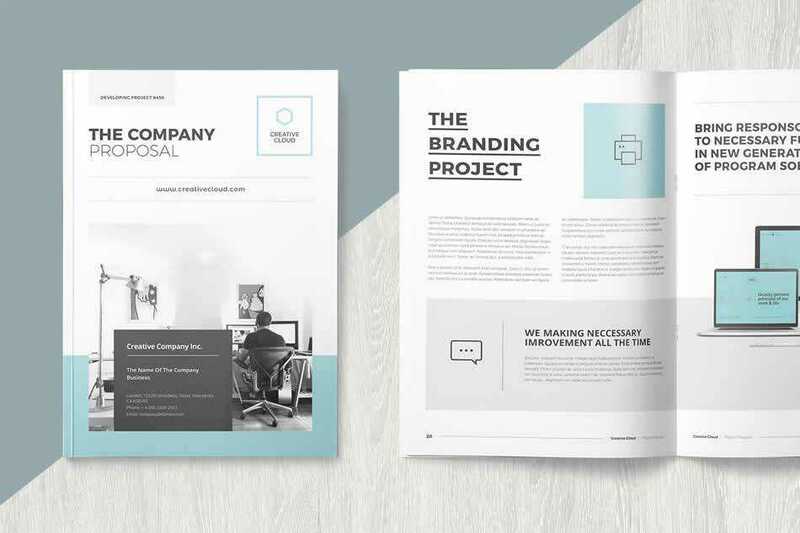 This templating features a minimal style and comes with 28 pre-made pages that include everything from proposal to estimates and invoicing. 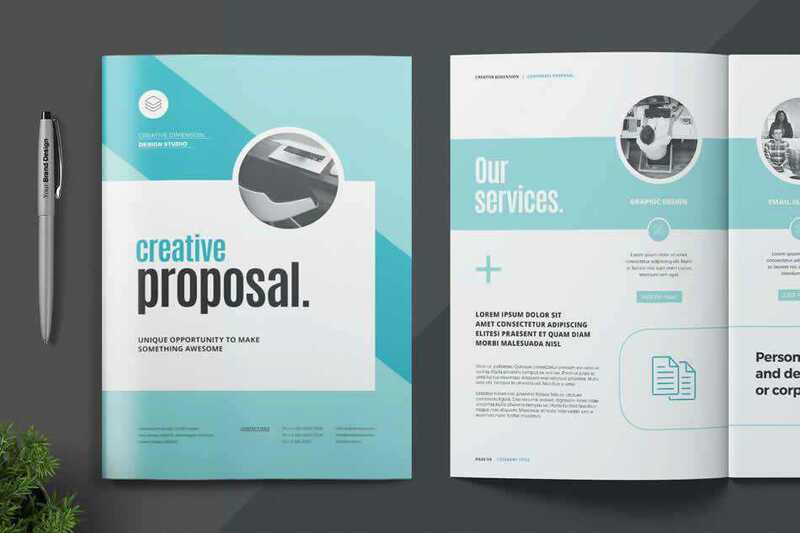 This stylish proposal template was designed in Adobe InDesign and includes 34 pages. The template comes in A4 and us letter sizes and you can easily customize the colors and the fonts to match your brand. 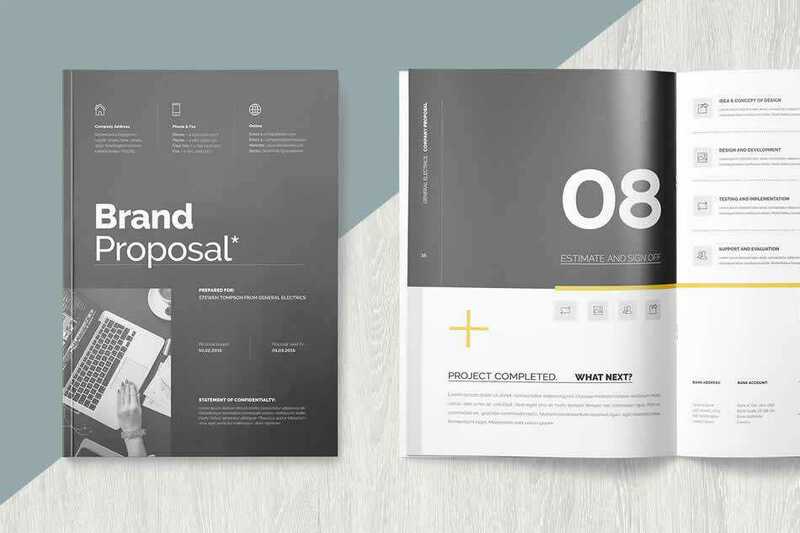 The proposal template has a fresh and modern design with 24 pages in total. The template was made in A4 and US letter size. It features a grid-based layout that will help you align your elements and create a stunning proposal. 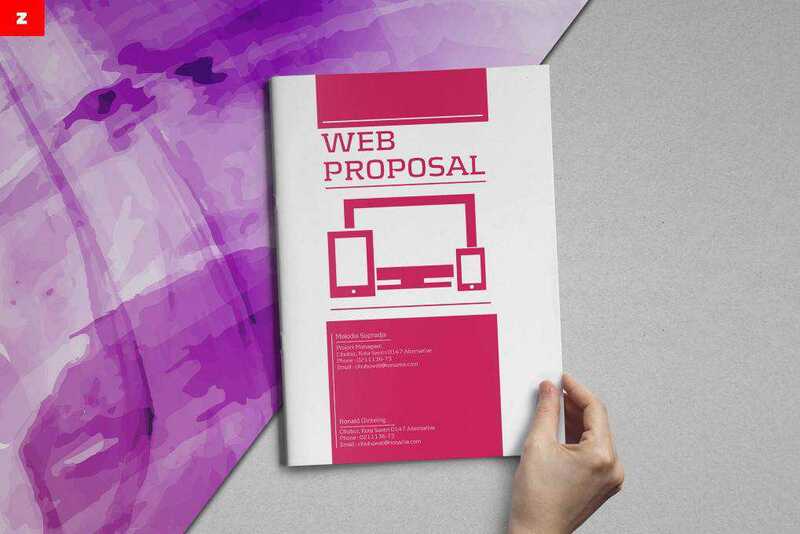 This Web Design Proposal Template is a colorful and modern proposal template that’s perfect for any web design project. The template comes with 28 complete pages and master pages which make it easy to edit and customize it to match your brand. 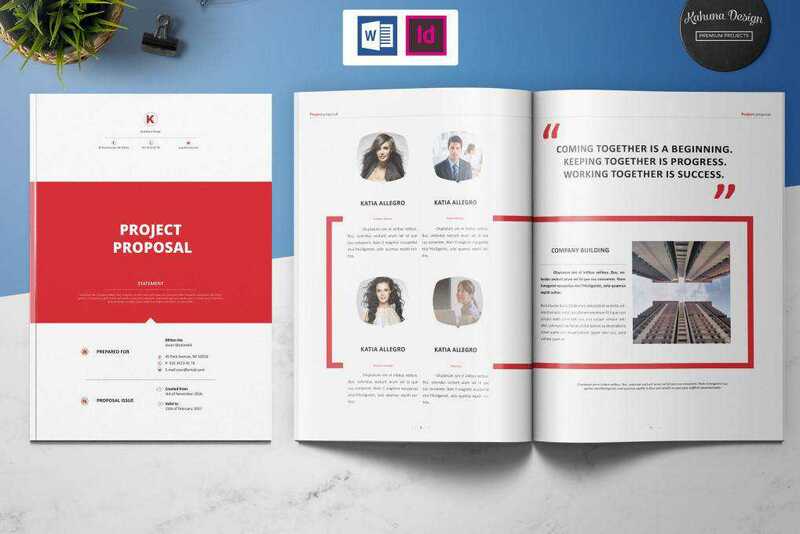 Try the Proposal and Portfolio template made in Adobe InDesign if you need a proposal and a portfolio template to present your project. A standout feature of this template is that it also comes in Photoshop, Illustrator, Word, and Pages format so you can easily edit it in whatever program you’re most comfortable with. If you’re a blogger or an influencer, check out this Media Partnership Proposal template. It features an elegant and stylish design perfect for fashion bloggers, beauty bloggers, or lifestyle bloggers. It can also be used for fashion businesses, beauticians, and stylists. As you can see, there is no shortage of beautiful proposal templates that are available online. Make sure your proposals stand out with one of the templates featured in this roundup or use them as an inspiration for your next design project.